Looking to travel to an interesting vacation destination that won’t break the bank? 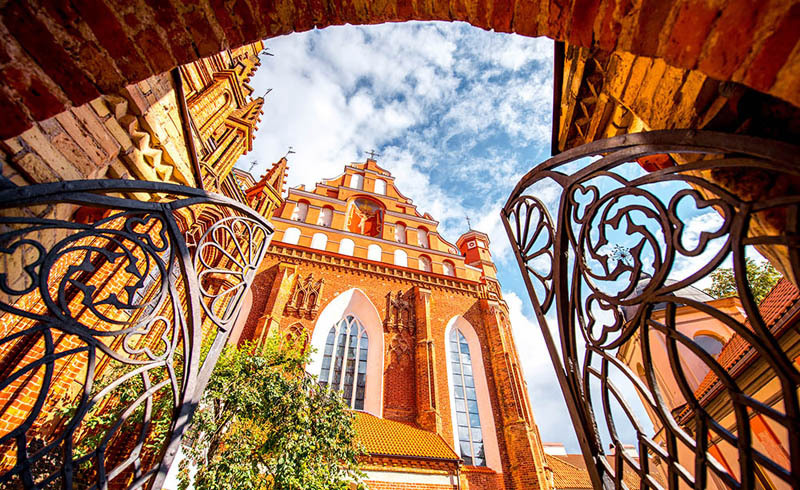 Visit the Baltic states for a fun, budget-friendly European vacation. Getting the best bang for your buck is always a good thing, especially when it comes to your vacations. Here’s why Northern Europe—which includes the Baltic states of Estonia, Latvia, and Lithuania—is an ideal location that won’t break the bank. It’s a sad fact, but most of us who work full-time jobs have pretty limited paid vacation time. So, when we plan getaways, we have to carefully review our options to ensure we’ll get the most out of that limited time. If we’re traveling somewhere far that will take a full day or so to get there, we want to make sure it’s a place where we can see and do plenty—without draining our bank accounts. One such destination? The Baltic states in Northeastern Europe. The trio of countries on the Baltic Sea—Estonia, Latvia, and Lithuania—has it all: a long and interesting history that stretches back centuries, a rich and vibrant culture, and a decidedly forward-looking perspective that’s a pleasure to experience. It’s a bit of a haul to get there from the United States, but it’s worth it once you arrive. 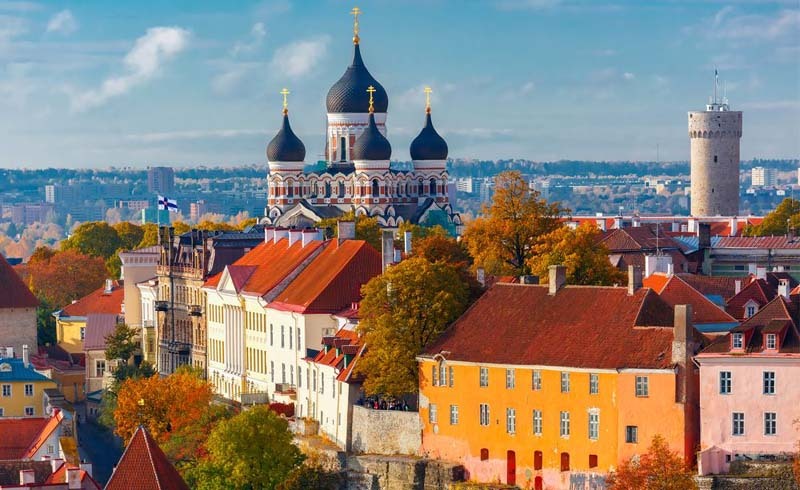 Part of the charm of Estonia, Latvia, and Lithuania is the fact that all three of the corresponding capital cities—Tallinn, Riga and Vilnius, respectively—have very visible links to their long histories in their Old Towns. One of the best ways to learn more about these cities is through free walking tours, which you can find through a simple Google search. When I went to the Baltics, I took advantage of these tours in each place. It was a great way to not only get an overview of the area, but also meet new people. Each walking tour lasts a few hours, during which time you’ll learn the stories behind various points of interest—like the underground tunnels in Tallinn, the Cat House in Riga, and the Republic of Užupis in the middle of Vilnius. And then there’s the more recent history of the Baltics. Estonia, Latvia, and Lithuania were all part of the USSR and regained their independence only a few decades ago. If you’re old enough to remember the fall of the Berlin Wall, you’ll remember the beginning of this new era. Many of the people you’ll meet during your trip are of this generation and remember being part of Communist Russia. It’s a part of history that I knew very little about before I visited, but with the help of museums and people I met, I was able to learn more about that time period and how it changed the countries. Keep an eye out for small tiles on the ground with the imprint of two feet in each capital city: They commemorate the Baltic Way, a peaceful political demonstration that occurred on August 23, 1989 when approximately two million people joined hands to form a human chain spanning 420 miles (676 kilometers) across all three states. One of the things that surprised me the most when I visited the Baltics was the food. I wasn’t quite sure what to expect, but I found a lot of delicious options. Much of the cuisine focuses on meat and varied potato dishes, but I also had the chance to try medieval dishes like elk broth soup at III Draakon in Tallinn or the stuffed potato dumplings, known as cepelinai or zeppelins, in Vilnius. And as a craft beer lover, I was thrilled to find so many options from local breweries. Many use recipes that date back hundreds of years or incorporate local ingredients, like the black currant wheat beer at Labietis in Riga. The prices are reasonable, too, for both food and drinks. A hearty meal will cost you about $10 USD (more if you go to a fine dining location), and beers—even craft beers—range from $3 to $5 USD. One of my favorite parts of traveling is immersing myself in new cultures, and the Baltics offer many opportunities to do so. Be sure to visit a sauna while in Estonia, wander around the Art Nouveau district in Riga, and enjoy a picnic by the river in Vilnius as you watch the world go by. It’s not difficult to travel among the capital cities: Buses (comfortable ones at that) run daily, and it’s only about an hour-and-a-half flight from Vilnius to Tallinn. Almost everyone speaks English (and Russian) in addition to their native tongues, so communicating isn’t very difficult. Try to pick up some of the local language, but take note: Estonian, Latvian, and Lithuanian are not romance languages, meaning your high school French, Italian, or Spanish class background won’t help much. As far as currency goes, all three countries are on the Euro, so you won’t need to exchange money in each destination. The outlets are also European, so be sure to pack an adapter. This one includes two USB ports as well, so you can charge multiple devices at once. Though you can experience a lot in a few days in each Baltic destination, give yourself as much time as you can spare—there’s so much to do and see in these vibrant countries. The high season for travel to the Baltics is June through August, but if you want to save some money on airfare and lodging, consider visiting in May or September. Some attractions may be closed, but there will still be plenty to do.